Since 1985, 15th May - International Conscientious Objection day - has been used to celebrate those who have - and those who continue - to resist war, especially by refusing to be part of military structures. This year, actions occured in Germany, Republic of Korea, Britain, Turkey and Venezuela, amongst other places. An international delegation organised by War Resisters' International visited South East Turkey between 25-30 April. The group, including activists from Austria, Germany, Spain and Sweden, visited Diyarbakir, Cizre and surrounding towns affected by the curfews and armed conflict that have been ongoing since August 2015. During their visit, the delegation met officials, peace and human rights activists in the region. 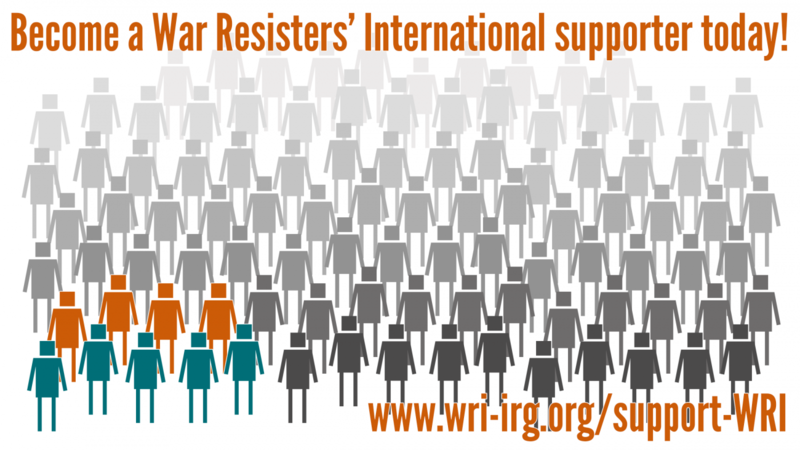 If you would like to join the activists all around the world taking action against the militarisation of youth, contact us via cmoy@wri-irg.org. International film showing: "Mirar Morir: El Ejército en la noche de Iguala"
A team of Mexican journalists, activists and researchers have made a documentary on the role of the Mexican military in the forced disappearance of 43 students from the Mexican town of Ayotzinapa, Iguala in September 2014. The trailer can be seen here: https://www.youtube.com/watch?v=eQolfFfKWjU and there will be a simultaneous worldwide screening on the 26th July. We have just published the most recent edition of the Broken Rifle, WRI's magazine. This edition focused on the relationships between the antimilitiarist and environmental movements, at a time when the impacts of climate change are starting to be felt, and world leaders turn towards militarised solutions. The magazine featured articles from WoMin, an African gender and extractives alliance, on the way both movements can converge on conversion, and the way responses to climate change are being militarised.